CloudFone Next Will Be Available At Lazada Philippines, Price Starts At PHP 7999! Home / cloudfone / mobile / news / CloudFone Next Will Be Available At Lazada Philippines, Price Starts At PHP 7999! The wait is over! Next, the latest affordable premium flagship from CloudFone will be available at Lazada Philippines. CloudFone Next at Lazada Philippines! 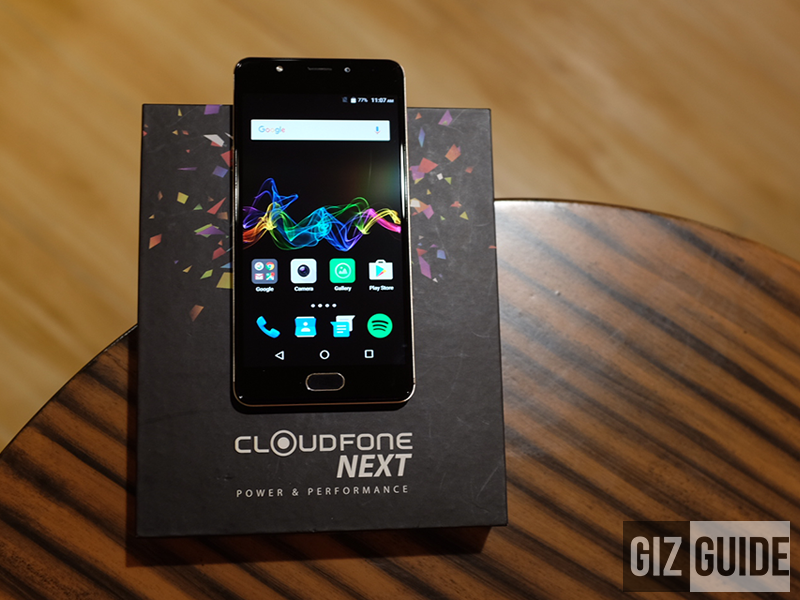 As a refresher, the CloudFone Next is one of the best deals of the year due to its great mix of style, performance, and affordability. It's equipped with a a beautiful 5.2 inch FHD screen w/ 2.5D curved glass, the efficient 1.4 GHz 64 Bit Snapdragon 430 chip paired with Adreno 505 gaming ready GPU, and large 4 GB of RAM designed to handle heavy task. On the battery part, this phone has 3,000 mAh of battery capacity with up to days of battery life and 45 mins charging time using the Quick Charge 3.0 tech by Qualcomm. It's also loaded with the best main camera specs under PHP 10K today by using Samsung's 16 MP f/2.0 S5K3P3 ISOCELL sensor w/ PDAF and LED flash. In front, a wide angle : 8 MP f/2.4 Samsung S5K4H8 sensor w/ BSI and LED flash is present. To complete the specs, this phone is equipped with WiFi, LTE, Bluetooth 4.0, OTG, dual SIM, fingerprint scanner, gyroscope sensor, and runs on Android 6.0 Marshmallow OS. Update: There will be PHP 2,000 off for loyal CloudFone fans. It'll be priced at just PHP 7999 if you are a CloudFone FB group member or CloudFone Excite Prime use at VizMin region. Registration starts from October 17-19, 2016. It can only be availed from October 21-23, 2016.